What used to be a head-scratching novelty is now a celebrated trend that shows no sign of slowing. Yes, tiny homes are seemingly everywhere – on large swatches of land, rolling down the highway on a trailer, and on multiple TV shows (Tiny House Builders; Tiny House, Big Living; Tiny House Hunters – and those are just the ones on HGTV!). Why all the fuss about tiny homes? While some expected them to be a passing fad, they have proven themselves to be a popular alternative to the rising prices of mega-houses! The reasons for the popularity of tiny homes boil down to this: For some, the tiny house movement has become a way of life, adjusting to a smaller space and fewer possessions, with a goal of saving money and focusing on relationships and experiences. Think you’re ready to chuck 90 percent of your stuff and live in dollhouse-sized accommodations? Sick of your location? Drive your tiny house to a new one! If it’s been built on wheels or is able to be loaded onto some, you can take it anywhere you want – as long as it’s allowed. Building codes in most municipalities set a minimum size for dwellings. Some tiny houses on wheels function as RVs, but most areas also ban full-time RV living outside of an RV park. This is the biggest obstacle for most people. You might be able to build a cottage as an accessory unit on a lot with a larger home or in a rural area with a liberal zoning code. Or, you might need to build it on wheels and keep it in an RV park. People should really know where they’re going to keep it before they build it. 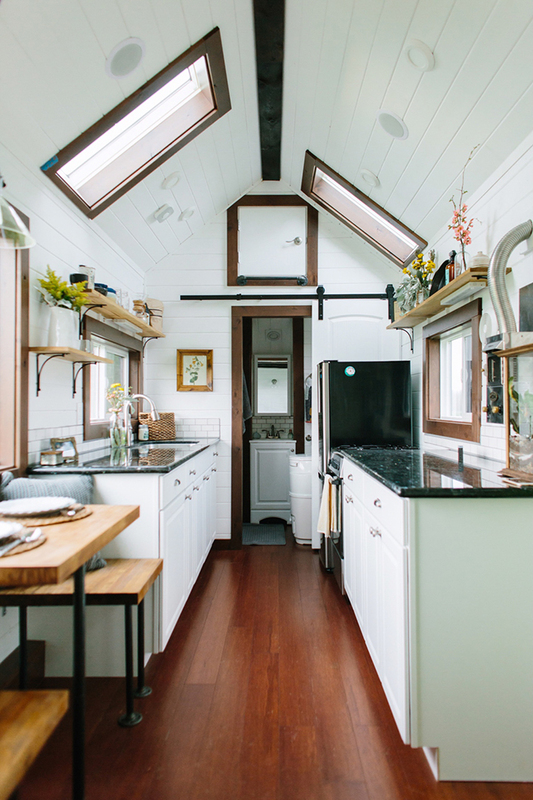 If you’re the type who ends up with piles of laundry and paper scattered throughout your place, a tiny home might not be the best option for you. Living in a small space requires you to rethink your entire relationship with stuff. You may never get to the point where you can pay off a mortgage on a “traditional” home, but it’s pretty typical to own a tiny house outright, which can vary from $35,000 to $55,000 (and even more for a high-end custom built one). The trend is growing among those for whom “Keeping up with the Joneses” is a foreign concept. Working harder and longer just to pay the mortgage isn’t for everyone. Because you want to save in more ways than one Less space means less upkeep, less maintenance, and less overhead. Imagine how much your electric bill will go down if you drop from 2,000+ square feet to a couple hundred. And you can lower your bills even more by incorporating green features and building/situating your home to make use of solar options. Still sound like something for you? 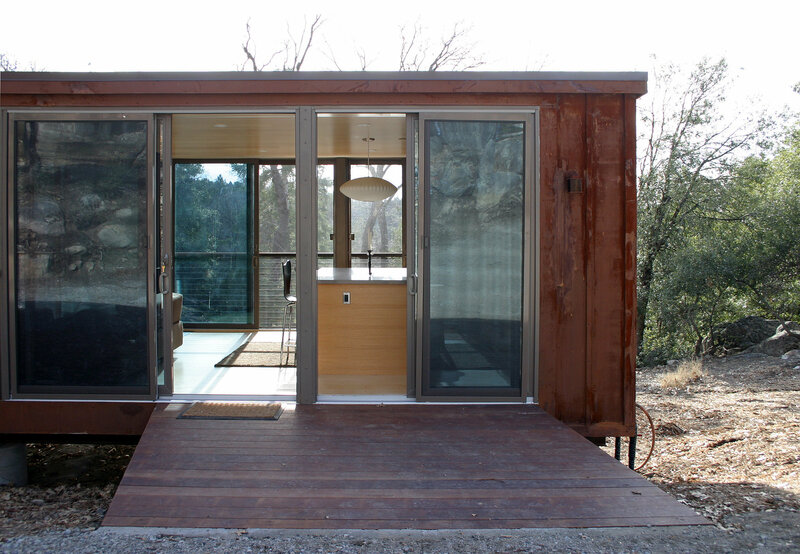 Here are a few tiny homes to get you inspired. GASALots of windows and creative décor can make a tiny home feel airy and elegant, not cramped and closed in. There is no “typical” design for a tiny home. The shape, size, and style are all up to you. Bide HomeMake it functional. Tall ceilings allow for extra storage. A built in creates a cozy eating nook and an island on wheels provides extra prep space that can be easily moved out of the way. Smart design is key. This living room tucks a home office into the corner and places French doors across from the couch to flood the space with light. PinterestA stylish approach and upscale features makes a tiny home look chic. A space-saving sliding door is on trend and multiple skylights and windows keep the kitchen light and bright. POPSUGARStraight lines and multiple windows give this tiny home a modern look, while the outdoor patio extends the living space. Tiny House For UsIt’s like a charming suburban home…only smaller! 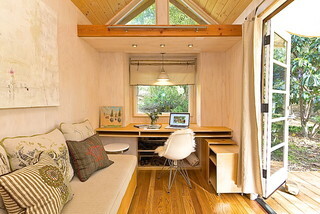 Tiny House For UsLoft bedrooms are standard for tiny homes because they are space savers. Just make sure you’re not claustrophobic…and that there is enough space to sit up. Slithering into bed every night won’t be fun. Thanks for reading; and, as always, thanks for listening to my Radio Show “Tough Market-Real Estate Radio Hour-LIVE!” Sunday’s at 4 PM EDT only on 55KRC, THE Talk Station!